Based in Philadelphia, Icebird is the result of a collaboration between renowned beatmaker Rjd2 and singer-songwriter Aaron Livingston. 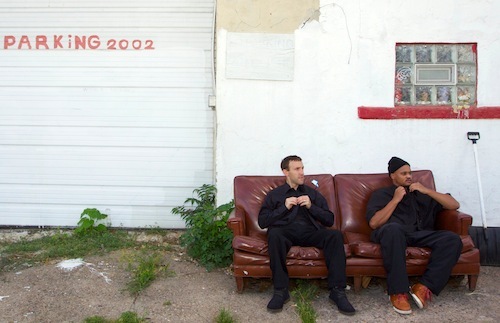 The pair released their debut album The Abandoned Lullaby last October on Rjd2′s label Electrical Connections. The project was born after Livingston contributed vocals on a track off Rjd2’s previous album The Colossus. The two artists totally clicked and decided to write more songs together, exploring different influences and building bridges between genres. From the first beats to the last notes, The Abandoned Lullaby runs the gamut of emotions, with producer and singer each bringing their distinct touch while staying in synch throughout.